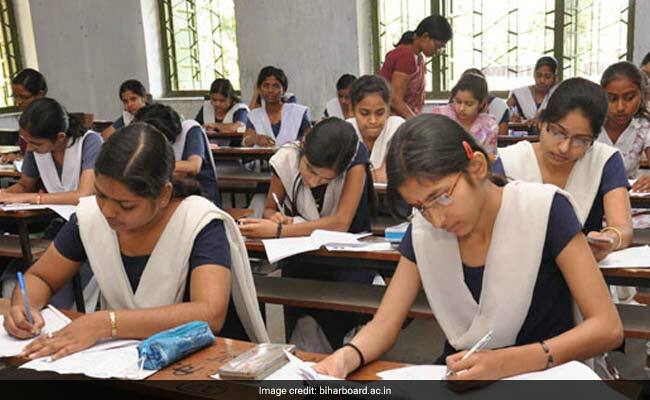 Bihar School Education Board (BSEB) has released the revised exam pattern and marking scheme for the Senior Secondary Annual and Supplementary exam. The new exam pattern now includes multiple choice type questions. New Delhi: Bihar School Education Board (BSEB) has released the revised exam pattern and marking scheme for the Senior Secondary Annual and Supplementary exam. The new exam pattern now includes multiple choice type questions. For each subject group, 50% of the questions would be of the objective type. For objective type questions, students would be provided with an OMR sheet. The detailed exam pattern and marking scheme for the various subject groups is also available on the official website of the board. For subjects with a practical component (Subjects such as Physics, Chemistry, Biology, Physical Education, Psychology, Geography, Home Science, Agriculture, Computer Science etc. ), the theory paper would be of 70 marks. Out of these, there would be 35 marks are allotted to objective questions. There would be 35 objective questions, each carrying 1 mark. For subjects without a practical component such as Mathematics, Accountancy, Business Education, Economics, History, Political Science, Philosophy and Sociology, 50 marks have been allotted to objective type questions. These subjects will have 50 objective questions carrying one mark each. The same scheme will apply to language papers of the group comprising Hindi, English, Sanskrit, Maithili, Bhojpuri, Magahi, Urdu, Persian, Arabic, and Bengali. The question paper will have 50 objective questions carrying one mark each. For Pali, and Prakrit Bhasha and its history, too there would be 50 objective questions. In case of language papers of the group, Hindi, English, Maithili, and Urdu, wherein the total marks would be 50, there would be 25 objective questions carrying 1 marks each. For music, exam will be conducted for 30 marks out of which 14 questions would be objective carrying one mark each. For vocational subjects, each theory paper will be conducted for 100 marks and will have 50 objective questions carrying 50 marks each.